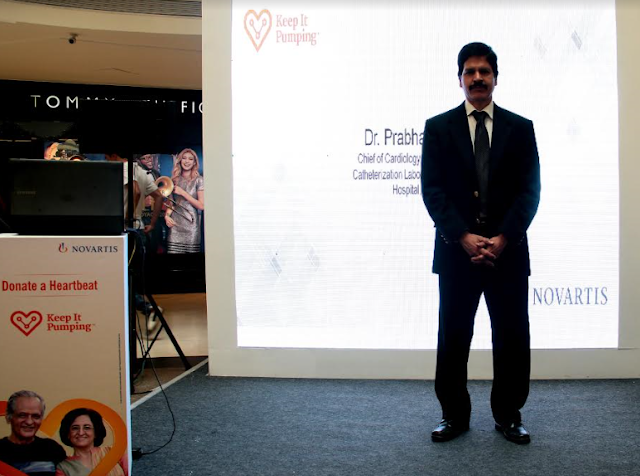 Bengaluru, December 23, 2016 – Novartis Healthcare Private Ltd. announced today the second leg of ‘Keep it Pumping’, an initiative dedicated to increasing understanding of heart failure. Heart failure is a debilitating and potentially life-threatening condition where the heart cannot pump enough blood around the body. 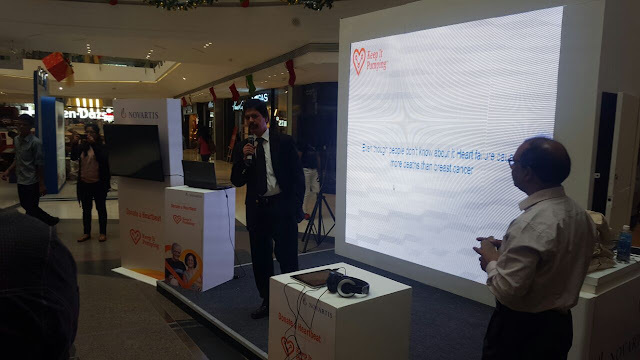 Keep it Pumping will provide information and support to heart failure patients and their loved ones, while also raising awareness among the general public. Keep it Pumping is inviting people to help donate their virtual heartbeat. These heart beats will then be combined to create a unique ‘beat of the nation’ song. Anyone interested in joining this movement can download the Keep It Pumping App from the App Store to donate their heartbeat for a loved one via a choice of songs. People can also join the Keep It Pumping social media communities on Facebook, Twitter, and YouTube to help raise awareness. In most cases, heart failure happens because the heart muscle responsible for the pumping action weakens or stiffens8. Heart failure typically does not have a single cause, but it often occurs when the heart muscle has been injured. This can happen following a heart attack or due to another illness affecting the heart. Despite its high incidence, heart failure largely remains undiagnosed. Many people do not even know they have it because its symptoms are often mistaken for signs of getting older. Although there is currently no cure for heart failure, patients who are diagnosed early, follow their treatment and make lifestyle changes can live longer, feel better and be more active. It is therefore vital that patients and caregivers are aware of the symptoms of heart failure, leading to better recognition and earlier diagnosis. ‘Keep it Pumping’ is dedicated to improving public awareness of the risks and symptoms of heart failure, as well as to supporting people living with heart failure to better manage their disease. Heart failure is a serious illness that can affect how long a person lives. Although heart failure is not curable, it can be successfully managed by adopting some measures. Making lifestyle changes is important if a person has been diagnosed with heart failure. · Limiting intake of salt is very important; it is equally important to learn which prepared foods have large amounts of salt8. It is important to check one’s weight each day and contact one’s healthcare provider if there is a significant change in weight. Exercising at levels recommended by a physician is of great importance in keeping a person with heart failure fit and well. Taking the prescribed medications is also beneficial. LEGO® is a trademark of the LEGO group of companies which does not sponsor, authorize or endorse this initiative. Note that the information provided herein should not be used during any medical emergency or for the diagnosis or treatment of any medical condition including heart failure. A licensed medical professional should be consulted for diagnosis and treatment of any and all medical conditions. Links and reference to articles are provided for information only and as such does not constitute endorsement of such site or article. Third party content appearing on website belongs to the owner of such content and Novartis does not claim any right in such third party content. 1. Always consult your doctor for any medical advice. 2. The information contained here is not to be used for treatment purpose or for diagnosis of health problems or as a substitute to expert medical advice. Please consult your doctor for any health related problems or queries that you may have. Although great care has been taken in computing and checking the information, Novartis is not responsible or liable in any way for any errors, omissions or inaccuracies in or otherwise howsoever for any consequences arising therefrom. 3. Issued in public interest by Novartis Healthcare Private Limited, Sandoz House, Shivsagar Estate, Dr. Annie Besant Road, Worli, Mumbai 400 018, India.